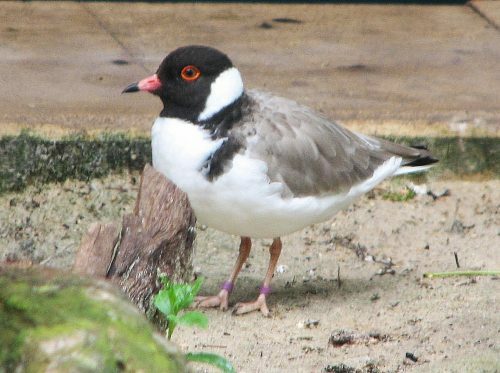 Here in South Australia, there has been some interest generated in the media in recent weeks about the plight of the Hooded Plover. A pair of this species was found to be nesting on one of our popular beaches. There was much concern over protecting the eggs from damage or predation. This tiny bird is widespread along the coast of South Australia and all of southern Australia, including Tasmania. Nowhere is it common, and everywhere it is threatened. It is estimated that fewer than 2500 of these lovely birds exist. And during the summer months, when they nesting, they are most vulnerable. During the summer months, when they nesting, they are most vulnerable. They make their nest by making a small depression in the beach sand. In this hollow, they lay and hatch their eggs. Surveys have shown that as few as only 2.5% of eggs actually make it to adulthood. That is a shocking statistic; it is NOT a typo. 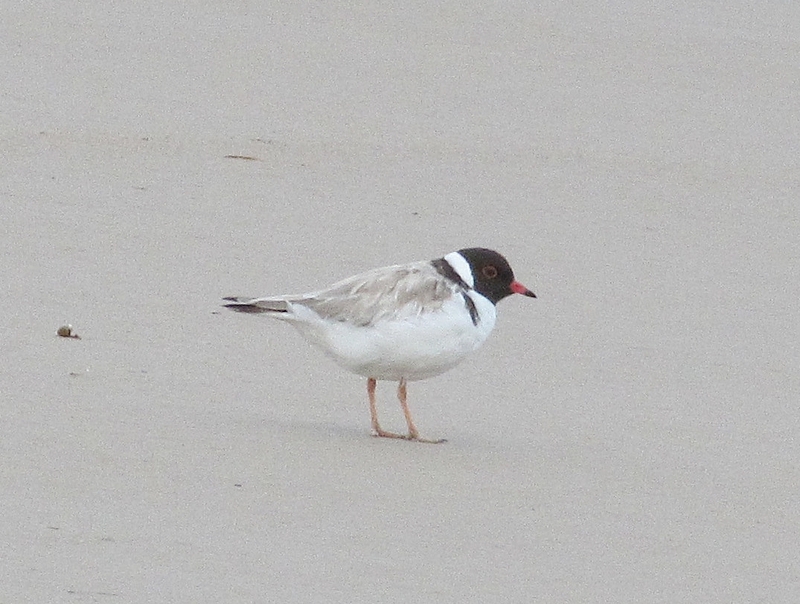 The eggs can be trampled on by people, dogs, horses or vehicles (we still have some beaches with car access here in South Australia – all in Hooded Plover nesting areas). Overheating when the eggs are exposed to the burning sun after the adult is scared from the nest. Eggs left too long and becoming too cold without the warmth of the adult sitting. This also happens when the adult is chased from the nest by the presence of humans, dogs, and other animals. The eggs can also be taken by predators such as foxes, cats, ravens, magpies, gulls and eagles. By being run over by vehicles, or stepped on by humans. Eaten by predators like foxes, cats, and birds of prey. You may be thinking that you can’t do much to save these, and other, threatened birds. Just by being aware of our wildlife when you go to the beach this summer, and drawing the plight of birds like the Hooded Plover to the attention of family, friends and other beach goers, you can do your bit to save them for future generations. I don’t often make appeals for money on this site; in fact, I am sure I have never done so. This is different. Birdlife Australia is running a special appeal for these little birds this summer. You can donate here. Why not become a member of Birdlife Australia? I have been a member for many decades. They pour large amounts of money into bird conservation, advocacy and research. Membership also provides you with discounts on a range of products and services, and you get their colourful quarterly magazine as well. You can join here.